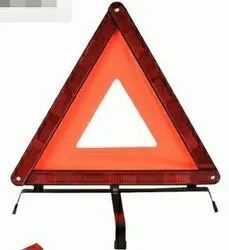 Backed by experts and experienced professionals, we are involved in offering Road Warning Triangle. 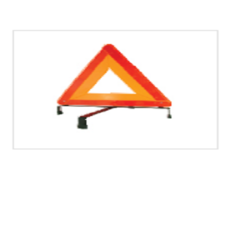 Our Company is one of the famous names for offering a wide assortment of Roadside Safety Triangle at very affordable rates to our valued clients. Manufactured from ABS plastic. This simple folding design combines a sturdy four footed base with its rubber grip feet and a high visibility interlocking triangle conforming to European Standard ECE R27 and tested to E1 specifications. Supplied in a low profile plastic carrying case. Sizes: 440mm each side length, 380mm base to tip.